For further information: denise@donegal.net , 087-6486079 or PM. 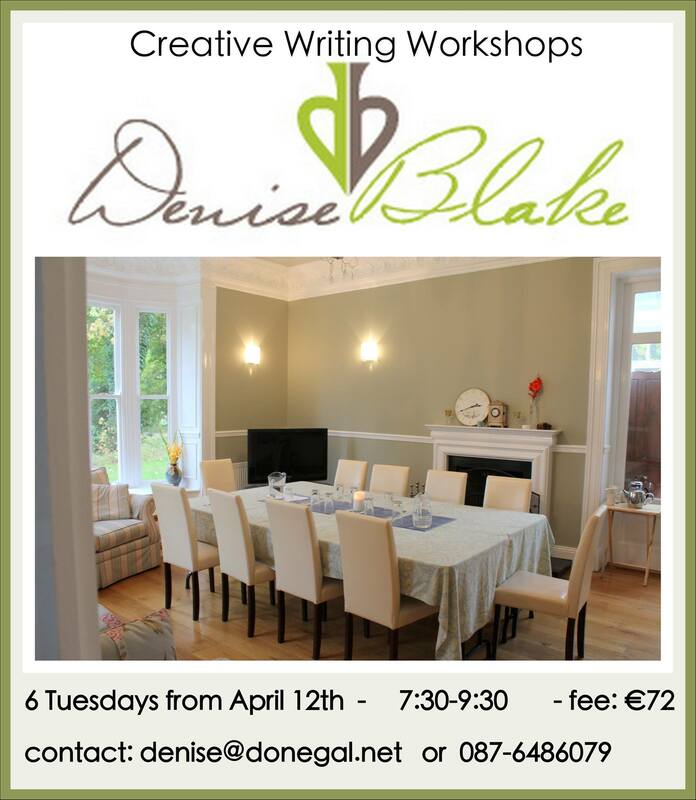 The workshops will be held in a comfortable, safe environment by Denise Blake, a facilitator who is highly experienced in working with beginners as well as advanced writers of all ages. Previous participants said they felt encouraged and challenged to write creatively, and have continued with their work after the end of their course. Denise is registered with Poetry Ireland’s Writers in Schools Scheme.